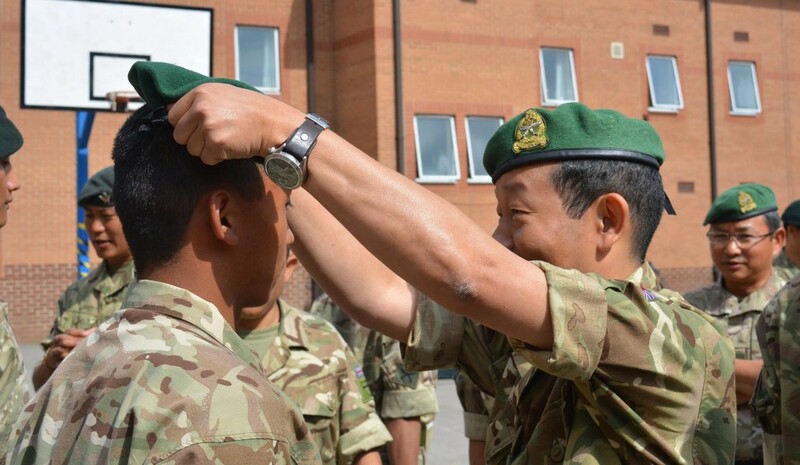 The unit Cap Badging event was held on Mon 15 Aug 16 at Gurkha Company, ITC Catterick. This milestone was witnessed by unit representatives from across the Brigade and permanent staff from the training centre. 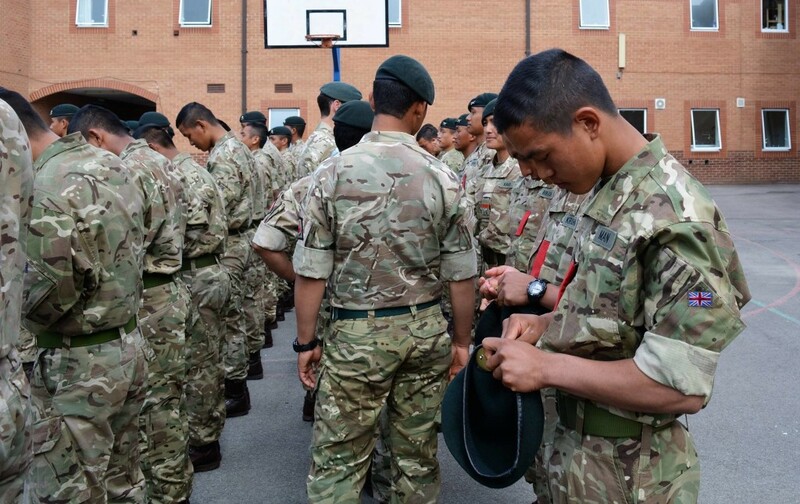 The Officer Commanding Gurkha Coy Catterick, Major Edward Withey RGR, called out the name of each trainee Riflemen in turn and informed them of the unit that they had been selected for. Permanent staff from the respective units were present to guide the young trainees who then formed up neatly, ready for the cap-badge initiation. Senior officers representing their units then handed each trainee with the new unit cap-badge – a proud and memorable day for the trainees. Well done to all and best of luck with the remainder of your invaluable training at Gurkha Company Catterick.